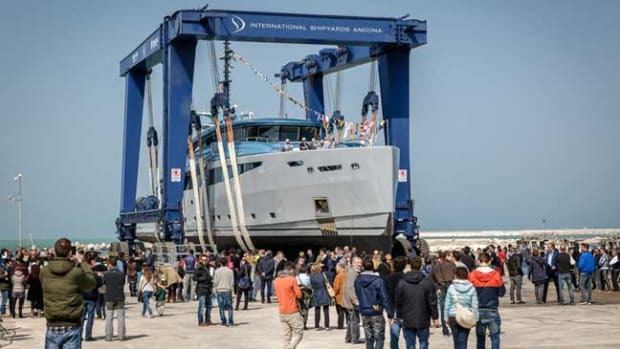 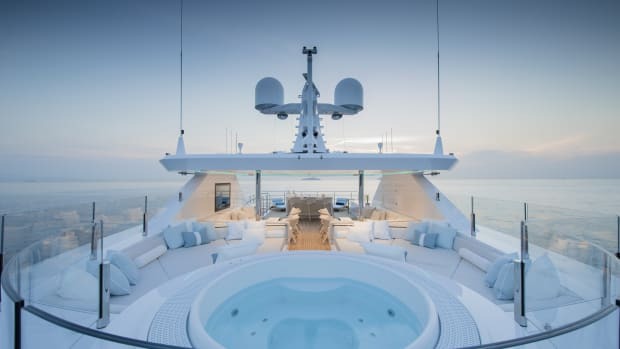 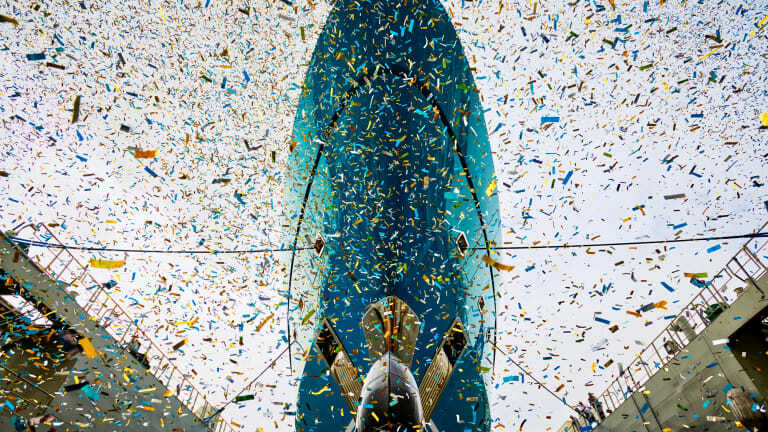 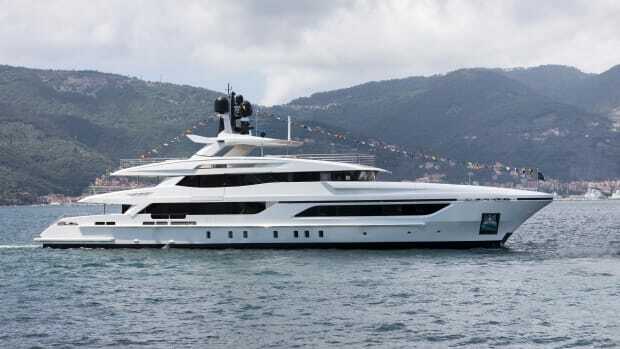 Turquoise Yachts has splashed its largest yacht to date: the 253-foot (77-meter) GO, with design by London-based H2 Design. 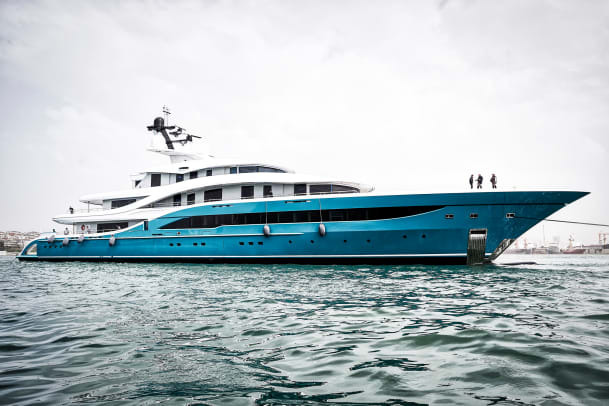 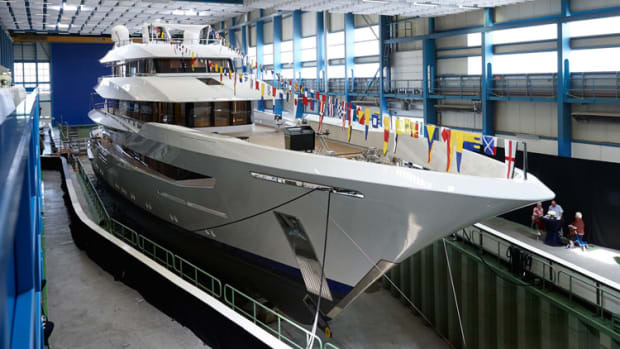 She bears a family resemblance to the 238-foot (72.6-meter) Vicky, also designed by H2, but is an evolution in technology and efficiency. 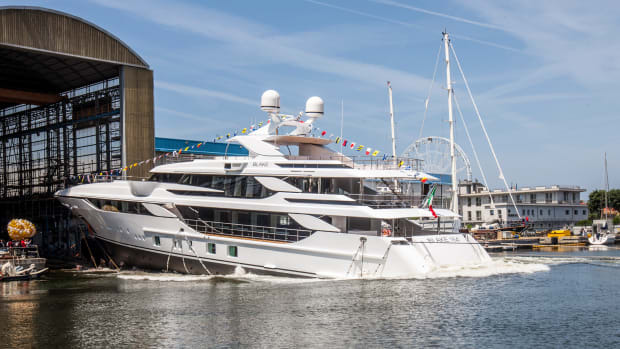 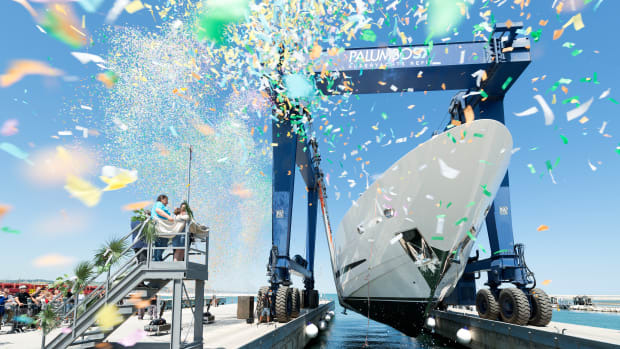 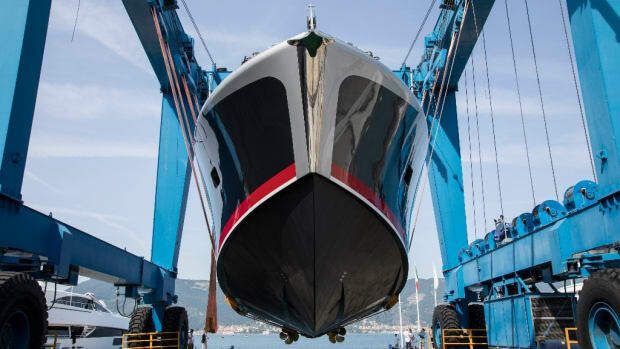 Her bulbous bow and rudders are designed to reduce resistance and increase fuel economy, and her profile has a distinctive arch from bow to stern. 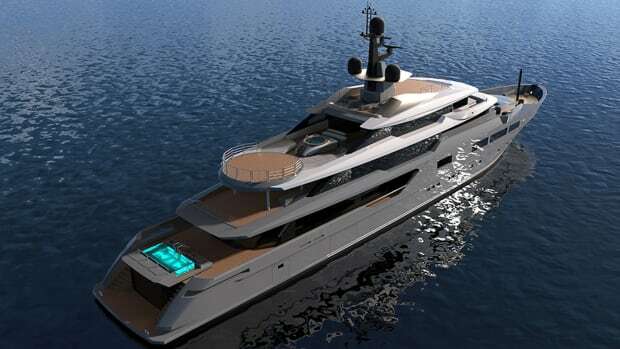 The layout includes an owner’s deck with panoramic views, a helipad and a beach club. 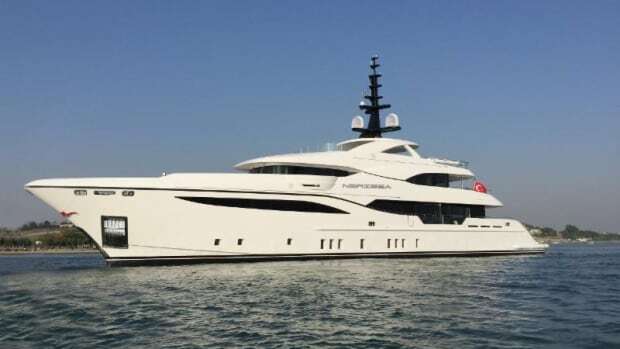 She can accommodate 18 guests and 20 crew.